Austria and Germany open borders to thousands of asylum-seekers. 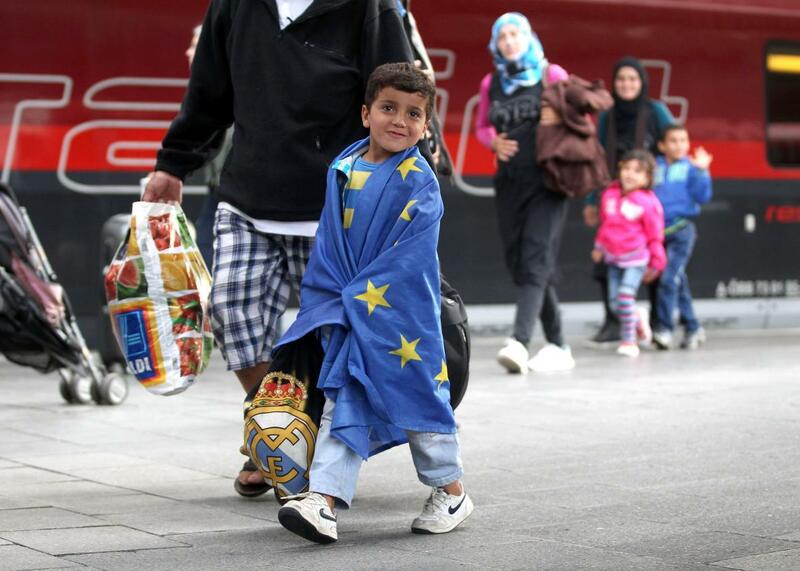 A migrant boy wrapped in an EU flag arrives from Austria at Munich Hauptbahnhof main railway station on Sept. 5, 2015 in Munich, Germany. Asylum-seekers started pouring into Germany and Austria after the two countries were pretty much embarrassed into opening their borders to a group of exhausted migrants who had been stuck in Hungary for days. Thousands were welcomed with beds and hot tea at the Austrian border as they got off buses that had been provided by Hungary after a defiant group of migrants took off on foot when train service was canceled. In Munich, a group of around 450 migrants were welcomed with applause and offers of food. By Saturday afternoon some 6,500 people had crossed into Austria, and 2,200 were on their way to Germany reports the New York Times. Germany said it expected as many as 10,000 people to arrive by the end of the day. 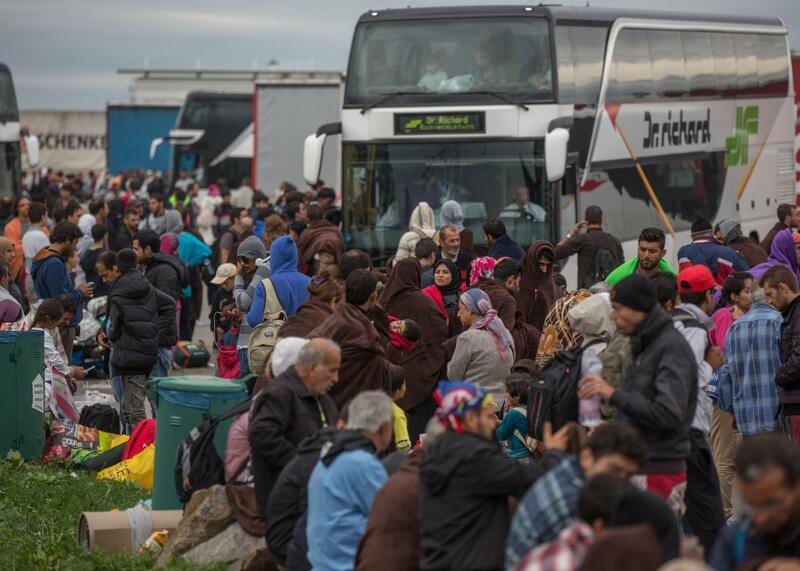 Migrants wait for buses to take them further into Austria after they crossed the border from Hungary, on Sept. 5, 2015 near Nickelsdorf, Austria. The scenes of exhausted asylum-seekers finally reaching their destination after days of confrontation with Hungarian authorities may be heartwarming, but more trouble seems practically inevitable, notes the Washington Post. When Hungary said it would no longer provide buses, another group of asylum-seekers quickly set off on foot from Budapest to Austria. And more people keep arriving at the Hungarian border. “Having challenged European authorities and won, the migrants’ bold strategy could now embolden future asylum-seekers to push forcefully for access to Western Europe,” points out the Wall Street Journal. 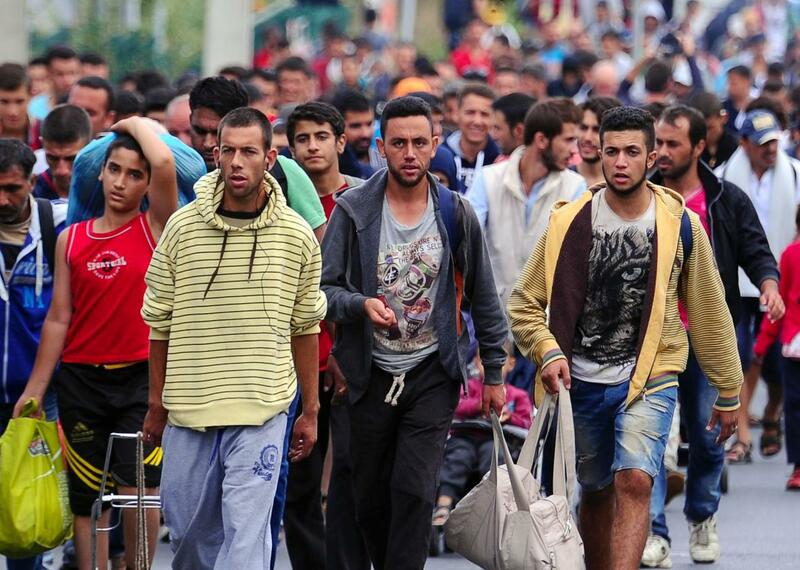 Refugees walk on a road near Budaors, Hungary on Sept. 5, 2015 to head to the Hungarian–Austrian border. Austrian officials said the government would not limit the number of people it will allow to cross its borders, and Chancellor Angela Merkel said Germany has the capacity to cope with the arrivals without hurting its finances. But there is still “little sign of a co-ordinated EU response to the crisis, despite more than 350,000 migrants having crossed the EU’s borders in 2015 alone,” notes the BBC. While the EU plans to reach agreement among its member nations later this month and is expected to come up with quotas for each country, Hungary remains defiant, insisting it will only encourage more to arrive. “What will it solve if we divide 50,000 or 100,000 migrants among us, when uncountable millions will be on the way?” Hungary’s prime minister Viktor Orban said, according to the Associated Press. 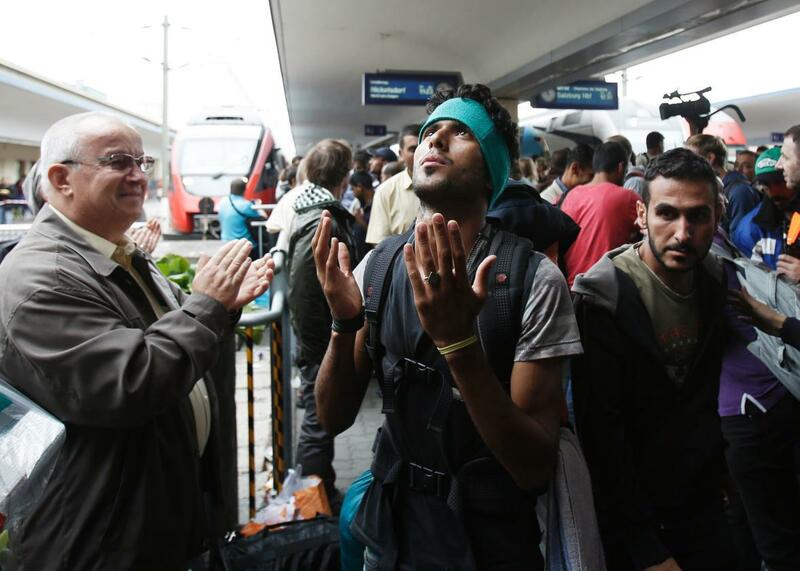 Migrants rejoice as they arrive at the Westbahnhof Station on Sept. 5, 2015 in Vienna, Austria.